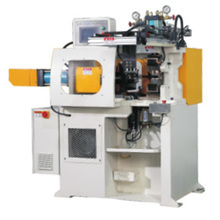 The sawing machine uses round saws, saws, or saws as tools to cut metal round materials, squares, tubes, and profiles. 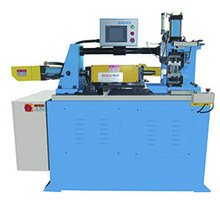 The machining precision of the saw machine is generally not very high, and it is mostly used in the preparation workshop to cut off various rods, pipes and other profiles. The drive wheel and the slave wheel drive saw bar, saw bar cut material direction is controlled by the guide rail control frame. By adjusting the self-rotating bearing, the saw strip will be adjusted straight through the cutter to sweep the saw off. 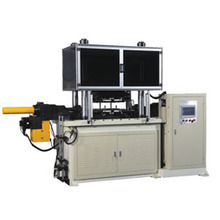 The control frame of the piston rod support guide rail of the hydraulic cylinder is lowered into the saw cut material, and the saw bed is equipped with a manual or hydraulic cylinder clamping locking mechanism, and a hydraulic operation valve switch.